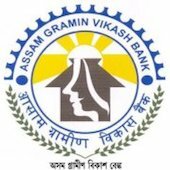 Online Application Details for Assam Gramin Vikash Bank AGVB Recruitment of 2 Attender and 1 Office Assistant is given below. Application form and duly attested documents are to be sent to Chairman, Assam Gramin Vikash Prashikshan Trust, c/o Assam Gramin Vikash Bank, Head Office, G S Road, Bhangagarh, Guwahati-781 005. In envelope super scribed with 'Application for the Post of Post Name'.